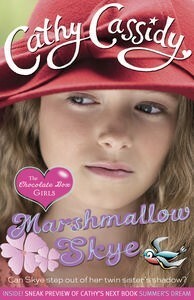 Part of the Chocolate Box Girls series. Honey Tanberry has been in so much trouble back home that she is moving to the other side of the world to be with her father. She knows this is her chance to straighten out but at the same time she is thrilled to be moving in with her father. Things don’t start of quite how she expected when she finds it’s not just him, her dad has a girlfriend he hadn’t thought to mention. Still Honey isn’t put off. She loves the weather and the beaches. She is even looking forward in a way to the alternative school her parents agreed for her to try, until she discovers that her dad has gone behind her mother’s back and enrolled her in a boring private girls school. She tries to change, but she struggles at the new school and her dad is often absent. She starts up a social media account so she can keep in touch with family, but soon she adds new friends and one of them isn’t what she thinks. Things start to appear on her account that she didn’t put up there, including hurtful things to family and about friends. Honey struggles to understand what is going on and her dad is not interested. Thousands of kilometres from home she feels she has no one to turn to. Who will believe her, especially with her past. There are some dark themes in this book. Honey has always been the darkest of the Tanberry girls. The most rebellious. She is in Australia as a consequence of her own actions. She thinks things are going to be perfect because she always saw her dad as perfect. This story touches on hard truths of divorce and cheating, also the very serious nature of cyber stalking. It is a tight story and Honey’s journey takes you further down before it starts back up. Her story is one of fresh starts, comfortable behaviour even in bad choices because it is what you know, and the need to be very careful who you allow into your life on line. This story provides a good opportunity to talk about some of these topics. At its heart it is a coming of age and redemption story. I like this series, I always have, it is an easy read that doesn’t shy away from some incredibly relevant yet difficult to talk about topics, cyber stalking and eating disorders, and it deals with them in a real and heartfelt way. Middle school has ended and summer holidays are underway. Summer’s mum has gotten married to Paddy and they are taking off for three weeks on a working honeymoon. There is a film being shot locally, it is going to be a fun holiday. Unlike everyone else Summer has no time for fun. She had been asked to audition for a new ballet academy, this is her dream, a dream she once saw slip through her fingers and now she has a second chance. Holidays turn into an obsession on finding perfection. Summer starts down a dangerous path that soon spirals out of control. She pushes everyone away. Perhaps the boy she has know forever and never seen as boyfriend material, will actually be the one who can help her. Maybe through it all she will discover that dreams can come in a variety of shapes and sizes. Wow what a powerful story. We are familiar with the characters and this is Summer’s story. Summer is the perfect one, the one voted most likely to succeed. 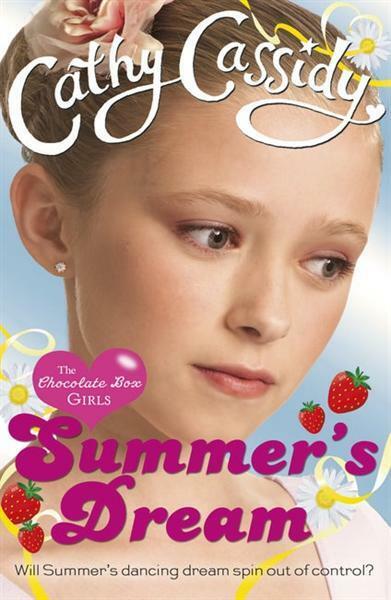 The other books were engaging but Summer’s story is darker – her obsession leads to anorexia and depicts how easily it can take hold. It shows how the mind can and does trick her into believing one thing and how easily it can be hidden. If you want to increase awareness to this topic then this is a good book. This series is for 8-12 year olds but definitely the top end of that and possibly the lower end of YA. It is a strong story that resonates, balanced with quirky and well written. characters. A great choice. Daizy Star is still searching for her star quality. This time she thinks she may have finally found it – modeling. She seats out to make herself into a top pre-teen supermodel for the class recycled fashion show. She is hoping to be discovered by a model scout. The problem is her dad’s crazy new scheme is threatening not only her modeling career but also the very foundation of her life. This time he wants the family to move to a Scottish island and farm nettles. Daizy will be away from all her friends. The worst thing is that this time it appears her mother is enthusiastic about this plan. Daizy isn’t the only one with problems this time, something is wrong with one of her best friends and Daizy wants to help fix it. Daizy is just as quirky as ever and still determined to find her star quality. On of the changes in this book is her mother supporting her father, which gives the story a slightly different dynamic to the previous two. Also her big plan this time around comes from her desire to help someone else, something which adds a nice depth to the friendships, (the others are usually supporting and doing things for Daizy). It doesn’t loose any of its humour or wackiness though and I still really like the unique Daizy Star. 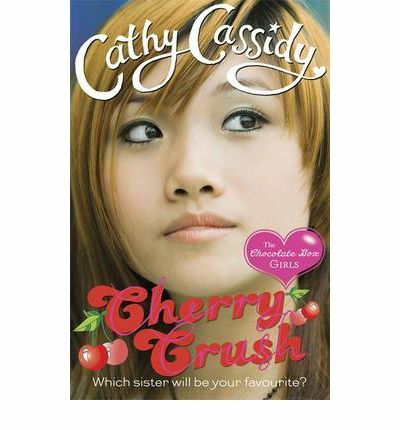 Cherry lives with her dad and is often isolated and in trouble because of the lies she tells. When her dad falls in love again she is happy to move to Kitnor and start a new life and maybe, just maybe become part of a family because her dad’s new girlfriend has four girls of her own. Cherry tries to fit in, she tried not to lie and tries very much not to fall for the one guy who is very definitely off limits. Cherry is a character that is a little sad, her past is filled with sadness, her school life wasn’t great and she feels as though she has to create stories in order to fit in. The new life at Tanglewood Cottage offers her hope. As alwasy though the stories get away from her. The other sisters are wonderfully unique personalities and except for Honey are very welcoming. Honey, like Cherry has plenty of her own issues going on and it will be interesting to read her story as this is the first in a series of each of the girls. This is a fun read about the ups and downs of blending a family. It is not all hearts and flowers and it is not all terrible, in that respect I would guess it’s fairly normal. Cassidy has done a good job introducing the characters and painting a very realistic kind of family portrait. 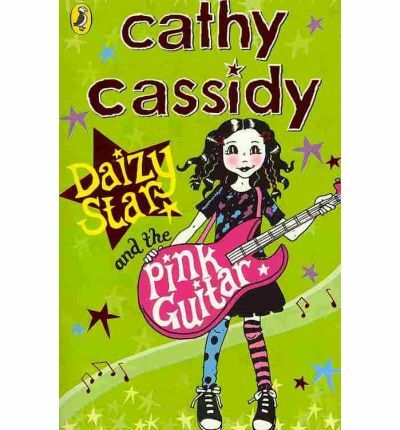 Daizy is still looking for her star quality and when she gets a pink guitar for her birthday she thinks this may be when she finds it. Then her Dad comes up with another of his really crazy ideas. This time he wants the whole family to move to Malawi for a whole year. he thinks it will be fun to milk goats, build schools and dig wells. No-one else wants to go and he can’t seem to see that this is causing big problems in the family. Then Daizy hears about the Battle of the Bands competition and sets out to put a band together. She thinks if she can win, then she can donate the money to Malawi and maybe then she won’t have to leave her friends and all the things she likes behind. 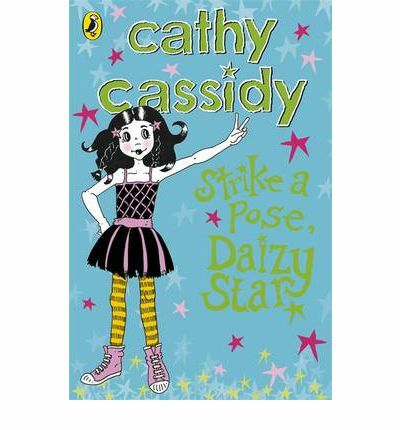 Daizy Star is a great character, she’s a little quirky and full of heart. She also goes full on into her wild ideas, much like her father. Life in the Star house isn’t always easy, particularly with Dad’s harebrained ideas, but there is plenty of love and support as things are worked through in sometimes unusual ways. This one has a little darker tone than the previous book with her parents actually fighting over Dad’s idea. Also Daizy embraces some darker themes in the music she writes – mostly all the sucky feelings she is experiencing. 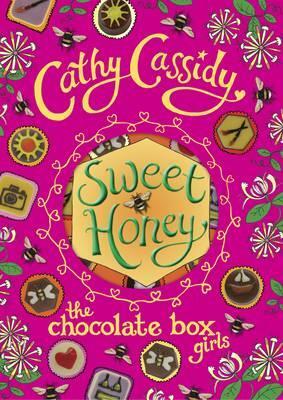 Still Cassidy does a great job, giving up a wonderfully entertaining story that has heart. Daizy has great friends that balance her out and supportive siblings, oh and a boy she most definitely is not interested in.